I co-host this new linky & community with the lovely Becky from Cuddle Fairy and Debbie from My Random Musings. The linky runs from Wednesday to Friday where all bloggers are welcome to add any type of post they like. Reviews, recipes, parenting, fashion & any other family friendly posts are encouraged to join us. The Blogger Club UK community & linky is not limited to the UK – we’d love to have bloggers from all over the world join us. Blogger Club UK aims to create a community of like-minded bloggers looking to support and promote each others posts through various social media channels. The #BloggerClubUK community is active on Pinterest, Twitter, Instagram & Facebook. We are all passionate about blogging and helping other bloggers achieve their goals. We would love for you to join us in the journey. Why Link Up to #BloggerClubUK? With so many linkys to choose from, it can be hard to know which ones are worth your time. We have made some tweaks to our linky to ensure that everyone who links up gets the maximum promotion! Good quality back links – We will have a feature post each week. This post will be linked to on all three of our blogs. With my DA of 40, Becky’s of 44 and Debbie’s of 31, those are some good backlinks for your blog! The linky will be open from 6am Wednesday – 12pm Friday GMT. 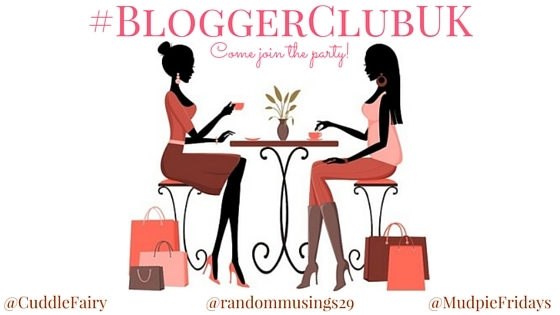 Join us in the #BloggerClubUK community. Add your linked posts to our group Pinterest board & Facebook Page. Use #BloggerClubUK on Twitter & Instagram for a RT / like. More about the community below. 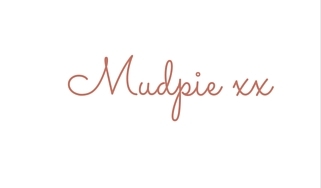 If you would like a reminder then please email me at mudpiefridays@hotmail.com or tweet me @mudpiefridays and I will add you to the list. Add our badge to the HTML / Text portion of your post, you can find the badge in the sidebar opposite. Or if you would prefer please link back to this page using the #BloggerClubUK. If you need any help linking up, read Becky’s Linky Guide or tweet us (@MudpieFridays @CuddleFairy @randommusings29), we are happy to help! Please comment on one each of the hosts post & one other. Feel free to comment on more but please do those 4 as a minimum! The more comments you leave, often the more comments you get back in return & that strengthens the community. Link a maximum of 2 post a week. Any type of post is welcome to link up. Pinterest – Add your Pinterest name to the comments or tweet one of us to be added to the group board. You may pin your Blogger Club UK posts to our group board, up to 2 posts per week. Twitter – Tag myself, Becky or Debbie for a RT after linking up! 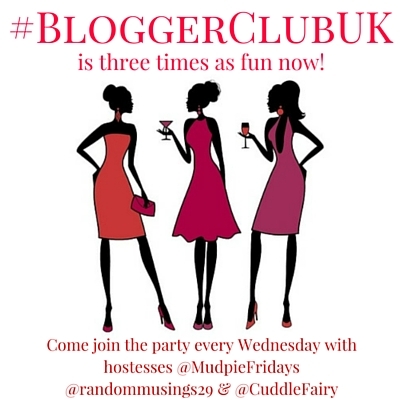 @MudpieFridays @CuddleFairy @Randommusings29, use the hashtag #BloggerClubUK. We encourage you to RT each other & in turn increase each other’s reach. Instagram – Use the hashtag #BloggerClubUK. We can go through & give each other a like, again it’s a nice way of helping each other out. Facebook -Join our Blogger Club UK Facebook page to submit your weekly posts. We will be holding like and sharing threads for you to participate in and spread the blogger love further. Please encourage your blogging buddies to join the group and share their linked up posts as well. Click the most recent linky below to join the #BloggerClubUK. You can also find Debbie, Becky & I on our social media. What an awesome idea, I will definitely link up next week and join you on the various platforms. Great idea. I shall be linking up next time around. Looking forward to joining. As promised and you get a sneaky double! It’s a post that leads on to another guest post! Thanks for hosting! I have just tried to join on FB but i couldnt through my actual facebook page (lifeinamumshell), so ive joined through my name Candice. This is new to me but looks like a great idea and i would love to be apart of it!